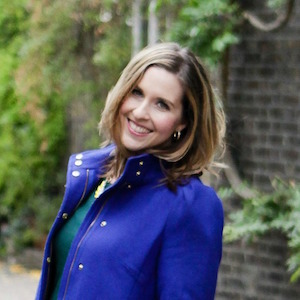 You are here: Home / Blog / My Kitchen / 10 Healthy Cocktails to Enjoy Guilt-Free This Summer! 10 Healthy Cocktails to Enjoy Guilt-Free This Summer! Are you going through a healthy living kick right now with it being swimsuit season? After feeling like I hibernated a bit this Winter, it’s definitely time for me to do so. I know that I’m trying to focus on my health most days by making walking, working out, and eating healthy a focus. But I’m a girl who’s not afraid to say she enjoys an alcoholic beverage (or a few) throughout the week. So I wanted to compile a list of healthy cocktails for you and me this week. Lately I’ve been trying something new with my eating habits, and that involves listening to my body. More than that, I’m letting my body tell me when I’m hungry, and not just eating because it’s lunch time or dinner time or whatever. It’s weird but I think I’ve been overeating a bit lately, because I think I should be eating even when I’m not actually hungry. So far I think this is working well and usually ends up being me eating 2 larger meals a day and then a snack or two during the day. And I’m not someone who is going to give up drinking, because I do enjoy a good beer or cocktail. But one thing I’m trying to do is be more mindful of what I’m drinking and how much. So I put together this list of 10 healthy cocktails that are perfect as the temperatures heat up. 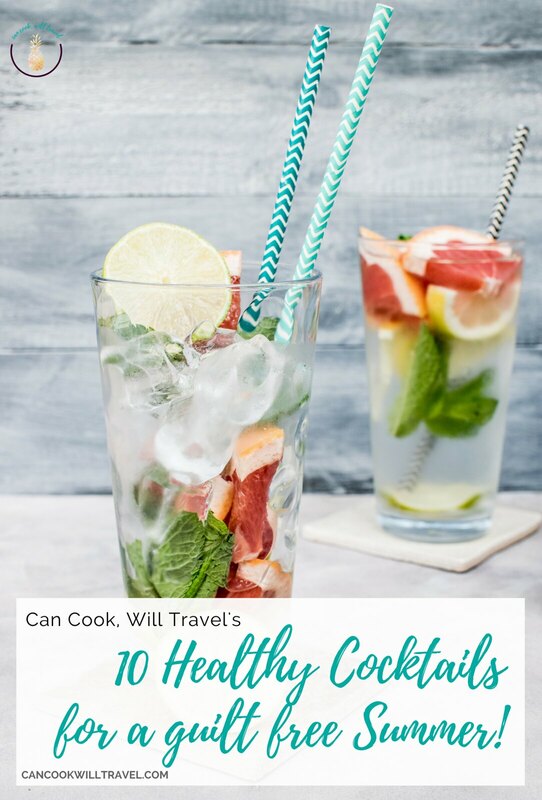 The list is centered around types of drinks and then one recipe that is a great healthy cocktail option for each kind of drink. 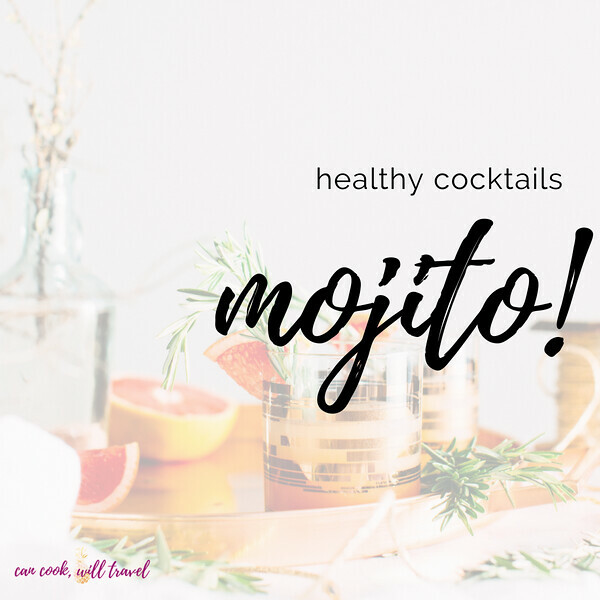 Let’s get this healthy cocktails party started, should we?! If I’m going to order a simple cocktail when I’m out, it’s likely going to be a gin and tonic. After my time in grad school with a classmate who made a killer G&T, I quickly became a fan. 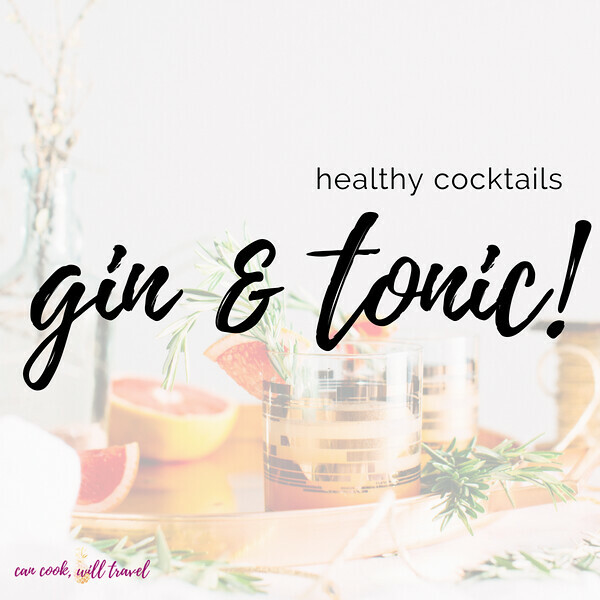 And when I came across this Coconut Gin and Tonic recipe on the site Minimalist Baker the other day, I was sold! Add a bit of coconut water to a classic G&T and if that doesn’t sound refreshing, I don’t know what does?! I know I’ve mentioned that I’ve been doing the Bikini Series through Tone It Up right now (as much as I can when I’m on a family vacay). And one thing they featured were Kombucha cocktails, and if you’re not familiar with Kombucha, then allow me to introduce you! 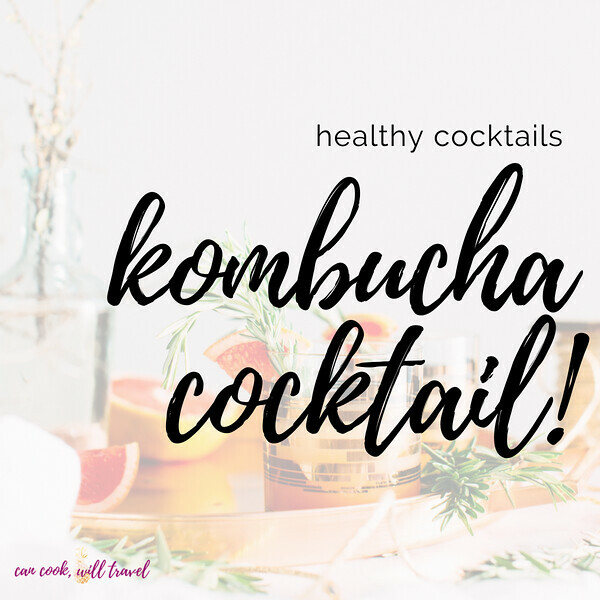 Kombucha is a fermented green or black tea-based drink that is packed with healthy probiotics that are amazing for your gut health. This Blackberry Kombucha Mojito from the Live Fit Girls features fresh blackberries, lime, mint, honey, rum and kombucha to make this cocktail a pretty guilt free drink to sip on with friends. Light, bubbly, and flavorful sounds like a fab combo to me! And if you’re looking for some good Kombuchas, a few of my favorite brands are Kevita, Health Ade, and the Bu. My healthy cocktails would be severely lacking if I didn’t include a margarita, so here you go. This week I went out to a favorite Mexican restaurant and I ordered a skinny margarita, and it totally hit the spot without all the sugar. 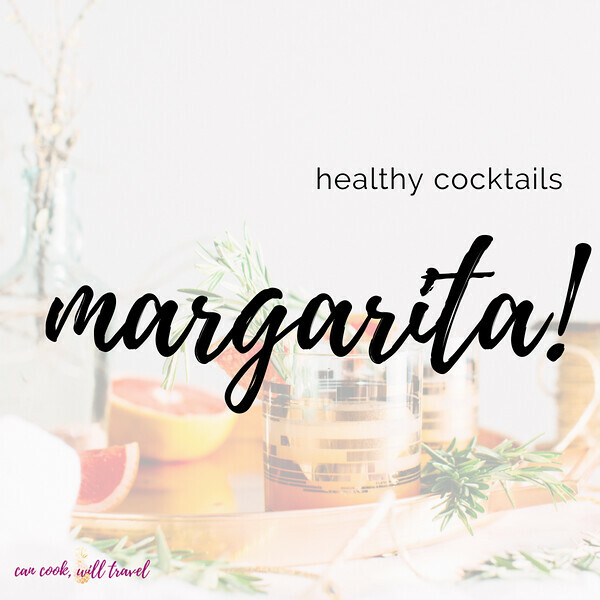 So check out this Classic Skinny Margarita by Jenny Collier, because with fresh lime, tequila, and agave it’s all you need to whip up a guilt free drink. Sometimes a mojito just sounds like the right thing to do, and with mint and rum I don’t know how it can’t always taste amazing. This Skinny Sparkling Blueberry Mojito from With Salt & Wit is the perfect drink for this healthy cocktails roundup, because who doesn’t love a good-for-you mojito? I love this idea of a cocktail here, with tons of antioxidants from the blueberries, sparkling water, rum, and mint. I could sip on this one a ton this Summer, and I’m betting I’m not alone! 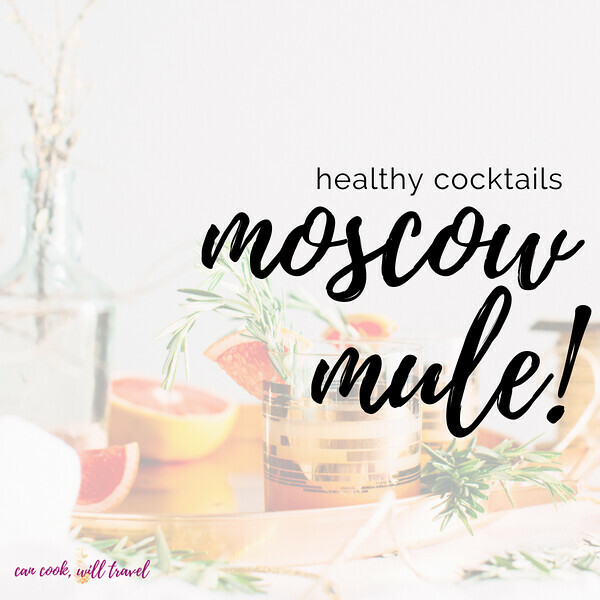 My obsession with Moscow Mules is a very real thing, and I’ve made a handful here on my blog over the past few years. And this Strawberry Basil Moscow Mule has been a very popular recipe, and for good reason! It’s naturally sweet with fresh strawberries and basil muddled together to make a refreshing drink that tastes like Summer! Seriously if you love basil, then this cocktail is a must-make-immediately kinda thing. Did you know the Paloma is Mexico’s favorite drink…well according to Google anyway?! 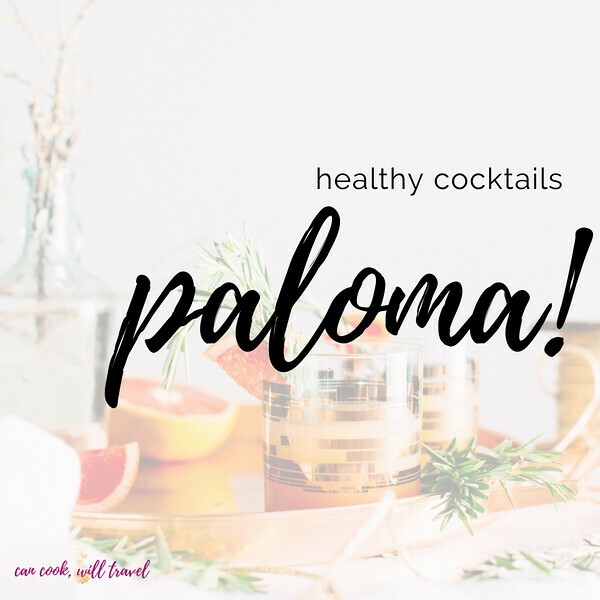 I recently experimented with a Paloma recipe that I’m pretty crazy about. 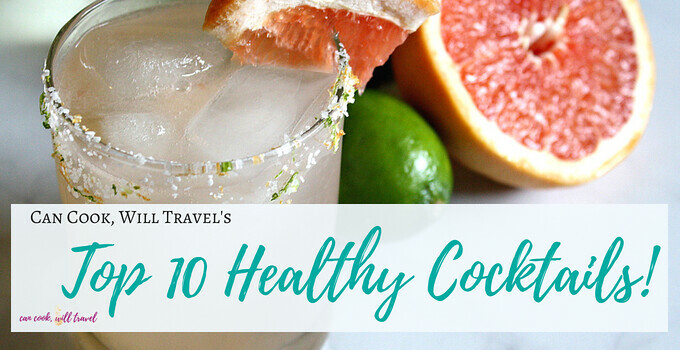 So if you’re a fan of grapefruit and love a refreshing drink, then this healthy cocktail is pretty guilt free with only 6g of sugar. It’s bright and citrus-y and is a lovely drink to sip on as the temperatures rise. We’re moving on to England here, with my Pimms & Lemonade recipe. I used to live in London, and I drank this cocktail on so many occasions. 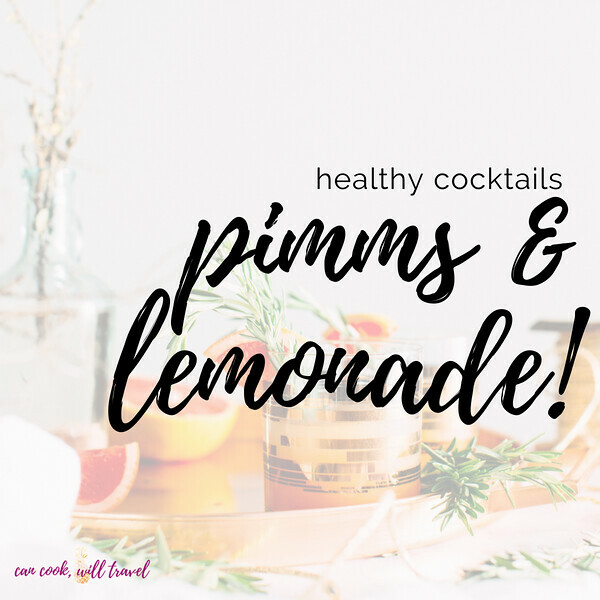 Pimms is a gin made in the UK, and by adding it to some diet ginger ale, mint, and fresh fruit, you end up with a drink that always hits the spot. I love introducing to people to this drink, because you don’t see if often here in the States and I’m such a fan. Plus it comes in with only 6g of sugar, and booze-infused fruit in your drink is kinda the best! 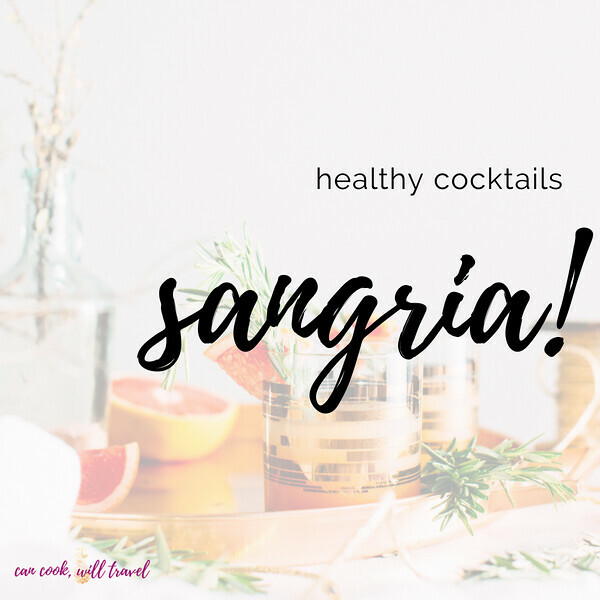 What sounds more like Summer than a sangria? Especially this Cucumber Watermelon Sangria from Better Homes & Gardens, because hello refreshing-sounding drink! I love the idea of this one, because it’s so unique from typical sangrias I’ve had that are filled with berries. You have really mild flavors from cucumbers and watermelon that isn’t overly sweet and sounds fab to me. 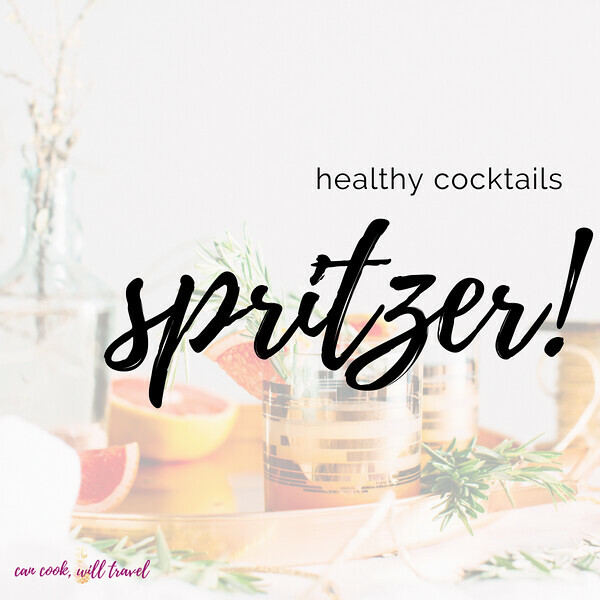 A spritzer typically has the addition of some kind of sparkling water or club soda to add a bit of fizz. Say hello to the site Boxwood Avenue’s Guava, Pineapple & Coconut Cocktail. This recipe uses guava juice (or any tropical juice – use pure juice here so you’re not getting added sugar, okay?). Then add in Coconut LaCroix, Coconut flavored vodka (yes, please), plus fresh pineapple and lime makes for a tropical vacation in a glass. I mean it just makes me want to go book a beach vacation immediately. 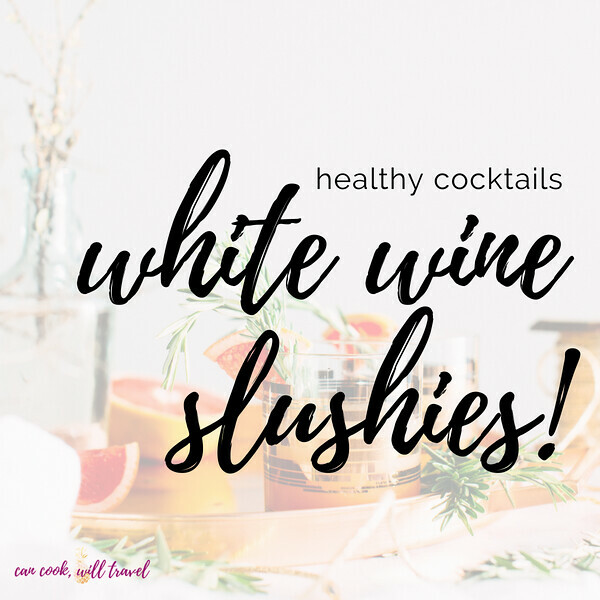 Apparently white wine slushies are all the rage right now, so featuring one here is the right thing to do. And doesn’t a Peach Wine Slushy by Just a Taste sound amazing?! This recipe is simply peaches and a bottle of your favorite white wine or rosé blended together and then you’re enjoying this insanely good looking drink! So cheers, my friend, to having lots of healthy cocktails at our fingertips! I always say to eat well most of the time but don’t avoid a little indulgence along the way. Life is too short to not enjoy a drink or guilty pleasure as well. However these healthy cocktails make indulging a bit less sinful, so here’s to experimenting with fun flavors. What’s your favorite kind of cocktail that’s your go-to when you are out with friends? I’m likely to order a beer, Moscow mule, or Paloma these days, but that’s always subject to change! Stay inspired & enjoy your indulgences too!